Ada pertanyaan untuk Golden Chain Port O Call Motel? 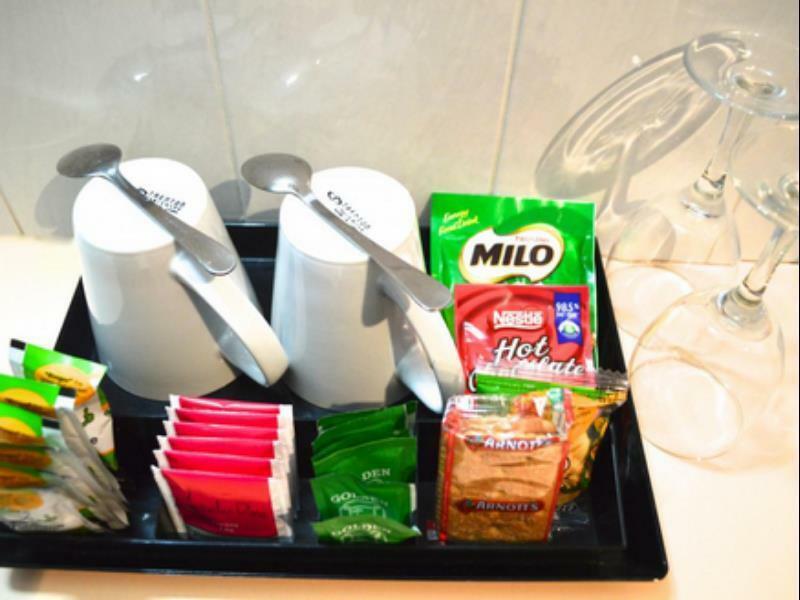 Jika apa yang Anda cari adalah hotel yang terletak strategis di Port Macquarie, carilah Golden Chain Port O Call Motel. Hanya 2.6 km dari sini, hotel bintang 3.5 ini dapat secara mudah diakses dari bandara. Dengan lokasinya yang strategis, hotel ini menawarkan akses mudah ke destinasi yang wajib dikunjungi di kota ini. Golden Chain Port O Call Motel juga menawarkan berbagai fasilitas untuk memaksimalkan pengalaman menginap Anda di Port Macquarie. Para tamu hotel ini dapat menikmati fasilitas di tempat seperti fasilitas untuk tamu dengan kebutuhan khusus, penyimpanan barang, tempat parkir mobil, kamar untuk keluarga, fasilitas BBQ. Semua akomodasi tamu dilengkapi dengan fasilitas yang telah dirancang dengan baik demi menjaga kenyamanan. Baik Anda yang menyenangi kebugaran atau hanya ingin bersantai setelah beraktivitas sepanjang hari, Anda akan dihibur dengan fasilitas rekreasi kelas atas seperti kolam renang luar ruangan, taman. 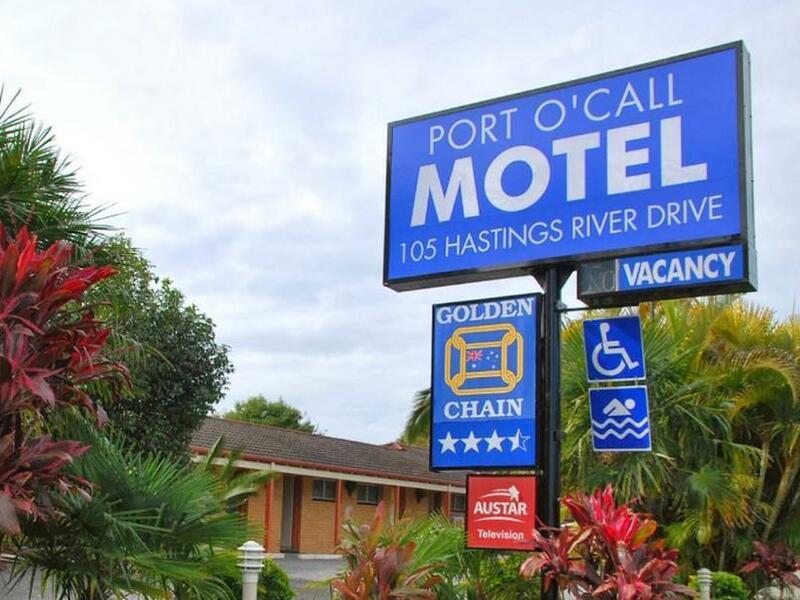 Fasilitas super dan lokasi yang istimewa menjadikan Golden Chain Port O Call Motel tempat yang sempurna untuk menikmati penginapan Anda selama di Port Macquarie. easy to find, parking spot in front of the building, spacious room. room itself is outdated, lines wasn't clean, and night staff wasnt really friendly- especially when i called and asked information. ok place to stay, but I'm sure you may find some closer to the centre place for similar value. Couldnt fault the room & wee courtyard at all. Management more than helpful with our requests ....breakfast was excellent nice & hot ...... Great location for us this trip to Port . Good location, good facilities in large room. Room could do with a bit of a refurbishment but was good value for money. Unfortunately had to kill a giant cockroach in bathroom at night. Other than that was pleasent stay. Couldn't hear road noise. WiFi was strong though (this was noted in information book though). No foxtel as advertised also. Beds were comfy. Motel was clean and comfortable. Small rooms but fine for overnight stay. Clean and friendly for a country motel. A bit away from the mainstream part of town, but still reasonably located. Good value for Money, Clean, good location. Our stay was good, the room was just what we required and clean. Nice staff on the front desk. Best toilet paper ever! Greatly appreciated! Nice neat little hotel but bed in room 8 needs replacing. Mattress gone in middle. Management friendly, hotel very clean. Shower curtains are a thing of the past, might want to think about shower screen. Ok for stopover, but couldn't stay any longer in that bed. No issues - had a restful stop over and a great breakfast to start the next day. I had a please t stay with very little road noise.